When Bitcoin Cash, Ethereum, and Litecoin were listed on Coinbase, many investors saw this process as a sign for the widespread use and adoption of the aforementioned crypto assets. But, in stark contrast to Coinbase’s current listees, the recent addition of 0x (ZRX) onto the San Francisco-based platform have left many asking more questions about 0x than ever before. 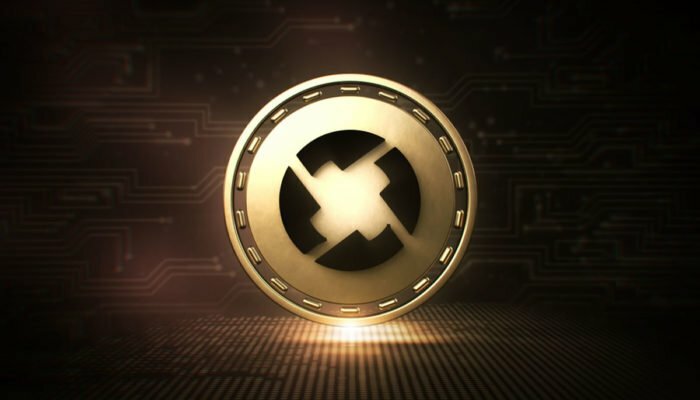 Per previous reports from NewsBTC, 0x (ZRX), the native asset of the decentralized exchange protocol project that shares its name, was unexpectedly added to Coinbase’s professional trading platform on October 11. At the time, however, it wasn’t made clear when the world-renowned crypto platform intended to launch ZRX support on Coinbase Consumer (Coinbase.com), which is where a majority of the startup’s 25 million clients trade and transact. Eventually, after days of deliberation, the exchange revealed that it had officially launched ZRX on its consumer-focused webpage, along with on the Coinbase IOS and Android mobile apps that were likely gathering dust due to the bearish market conditions. Like any other crypto asset listed on the multinational platform, users are now able to buy, sell, send, receive, or store ZRX, which is now the first Ethereum-based token to go live on Coinbase. Interestingly enough, for now, users who reside in the United Kingdom or the state of New York will be unable to trade this specific crypto asset. This restriction can presumably be chalked up to the unknown regulatory climate surrounding ZRX, which has yet to be directly addressed by regulatory bodies. Still, in a testament to the colloquially-dubbed “Coinbase Effect,” the popular altcoin saw a monumental surge to the upside, rising from $0.65 to a high of $1.04 on the back of the Coinbase news alone. However, since hitting multi-month highs at $1.04, the asset has since seen a pullback to $0.88 and is down 10% in the past 24 hours. 0x Skeptics Lash Out: Insider Trading, Useless Token? Despite the positive news, as is the common theme with Coinbase listees, many began to bring up theories that insider trading and conflicts of interest had catalyzed the addition of 0x. For those who haven’t been kept in the loop, the exchange has long been accused of facilitating conflicts of interest. Take the two following cases as an example. Following the listing of Litecoin on the exchange, former Coinbase engineering head Charlie Lee left his stint at the startup, which lead many of the firm’s critics to a single conclusion. In a recent case, Bitcoin Cash saw a suspicious uptick in buying volume in the days preceding its appearance on Coinbase, again indicating that something could be amok. While these conspiracy theories have since been debunked by the startup, which is slated to be valued at $8 billion, critics of the platforms still have their doubts. Kevin Pham, a former institutional banker turned Bitcoinier and Coinbase’s foremost hater, took to his vast social media platform to yell from the rooftops that insider trading was a likely explanation for ZRX’s addition to Coinbase. Backing his inflammatory claim, Pham pointed out that 0x advisor Linda Xie, who used to work at Coinbase, had directly advised Coinbase’s digital asset listing guidelines in the past. The potential for insider dealing here stinks. Although no conclusions can be drawn, as this could have been an unfortunate coincidence, many have pointed to the handful of connections that can be drawn between 0x’s executives, advisors, or investors and Coinbase’s top brass. Even if the rumors regarding insider trading are false, as pointed out by many on Twitter, there is still much to criticize the 0x project for. Preston Byrne, a self-proclaimed “blockchain technologists,” explained that there was only an average of 101 addresses that actively transacted 0x, even after Coinbase’s initial announcement. Byrne seemed to be alluding to the fact that Coinbase has only listed well-adopted crypto assets in the past, which makes the ZRX listing straight out of left field. Jackson Palmer, the founder of the ever-popular Dogecoin memecurrency, rebutted this sentiment by claiming that Coinbase’s acquisition of 0x-based Paradex was behind the listing. But, there were still 0x skeptics to poke holes in Palmer’s rebuttal. Udi Wertheimer, a well-followed Bitcoin developer, explained that Paradex doesn’t even actively use the ZRX token, indicating that the asset could have no legitimate use case. I believe $ZRX is the first ERC-20 token (and "utility token") to be listed on @coinbase. That's interesting, as I think $ZRX is the first token listed there whose reason for existence no one can seem to explain. At the time of press, Coinbase has yet to respond to the criticism, but if these rumors continue to gain traction on social media channels, it is likely that the startup will issue a status update on the situation in due time.